SOLD $120,500 LIVE ESTATE AUCTION! 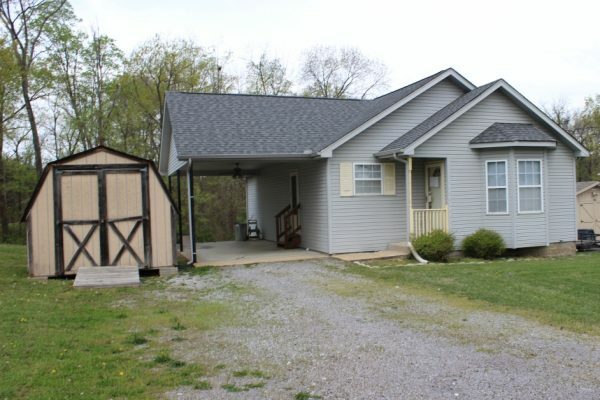 2 BR, 1 1/2 BA Home | Middle Tennessee Real Estate :: Maples Realty & Auction Co.
Don’t miss this opportunity to buy a 2 bedroom, 1 ½ bath home with attached carport and 2 storage buildings in the yard. It has been newly painted and ready to move in. This home has a nice yard in a well established neighborhood. Conveniently located to Sam Ridley Parkway & I-24. Directions: From Sam Ridley, take Old Nashville Hwy., right on Jefferson pike, right on Ridgemont, property on the right. From Murfreesboro Rd. left on Jefferson Pike, left on Ridgemont Dr., property on right. Is the home available to view before auction? on same day or prior to auction ? We don’t have a preview day scheduled for that auction. Call Taylor Walters at 760-835-5026 or Brad Muse, the auctioneer, at 615-405-5514 and they should be able to work out a time for you to view the house. I’m sure you can view it prior to the auction but I’m not sure what time they will be there to let you in.